1. A coalition of labor activists has launched a campaign to raise the minimum wage in Oakland from $8 an hour to $12.25, the Trib$ reports. The effort is being backed by SEIU Local 1021. At the same time, on the state level, conservative multimillionaire Ron Unz is bankrolling a November ballot measure to raise California’s minimum wage to $12 an hour, the LA Times$ reports. Unz contends that increasing the minimum wage will result in fewer people needing state aid — an argument that has been gaining traction among conservatives. 2. 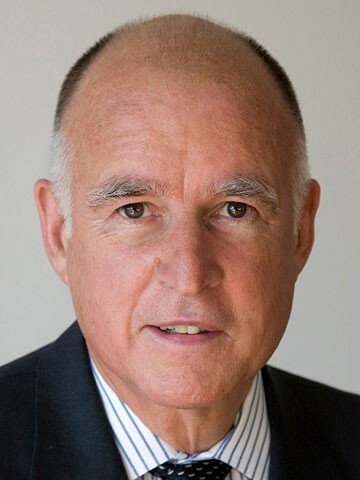 Governor Jerry Brown is one of forty state politicians who will be receiving warning letters concerning illegal campaign contributions supplied by a high-powered Sacramento lobbying firm, the LA Times$ reports. Lobbying firm Sloat Higgins Jensen and Associates has acknowledged to throwing lavish fund-raising parties for political candidates and then not reporting them as donations as required by law, and has agreed to pay a $100,000 fine to the California Fair Political Practices Commission. 3. The problem-plagued new Bay Bridge has a new issue — it leaks when it rains, the Chron reports. The leaking could cause serious erosion problems and could dramatically shorten the lifespan of the $6.4 billion bridge. 4. In an effort to trick voters, the Republican Party has created numerous websites that look at first as if they were set up by Democratic candidates — when, in fact, they include numerous negative political messages about those candidates, the LA Times$ reports. 5. High rents and the lack of housing in the urban Bay Area is once-again worsening suburban sprawl, as residents are moving in increasing numbers to remote towns in search of an affordable place to live, the Mercury News$ reports. 6. Google has quietly abandoned its ferry service for employees from Alameda to Redwood City after just one week, the Chron reports. 7. And the weekend storm brought much-needed rain to Northern California — including more than 20 inches of rain to Mount Tamalpais — but precipitation totals for the region still remain far below normal for this time of year, the Chron reports. $ = stories that may require payment to read.